We’ve all done it…jumping on the bed, I mean. I think that it’s instinct to a degree. 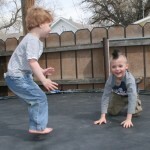 Kids just naturally go from those timid little baby steps, to running, and on to jumping. In fact I think that so many people have a trampolines, because it could go a long way toward saving the mattress on the bed. It’s pretty hard for kids to resist jumping on the bed, because once they get going, and they get to giggling…it even gets hard for parents to get upset about it. 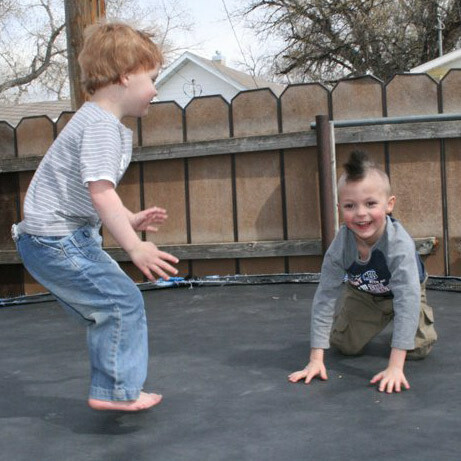 Of course, as we all know, whether it is a trampoline or the bed, jumping can become dangerous. Countless numbers of kids, myself included, have ended up falling off of that bed. Thankfully, I wasn’t hurt…at least not beyond a few bumps and bruises, but there have been kids who go hurt much worse that that. You can tell a kid that it’s dangerous to be jumping on the bed, but that doesn’t mean that the temptation isn’t more that they can resist. It goes back to the same old thing…it won’t happen to me. I won’t fall off…wrong!! You will, and it still probably won’t stop you. I don’t think that most parents take pictures of their children misbehaving, so most people don’t have many pictures of them jumping on the bed. 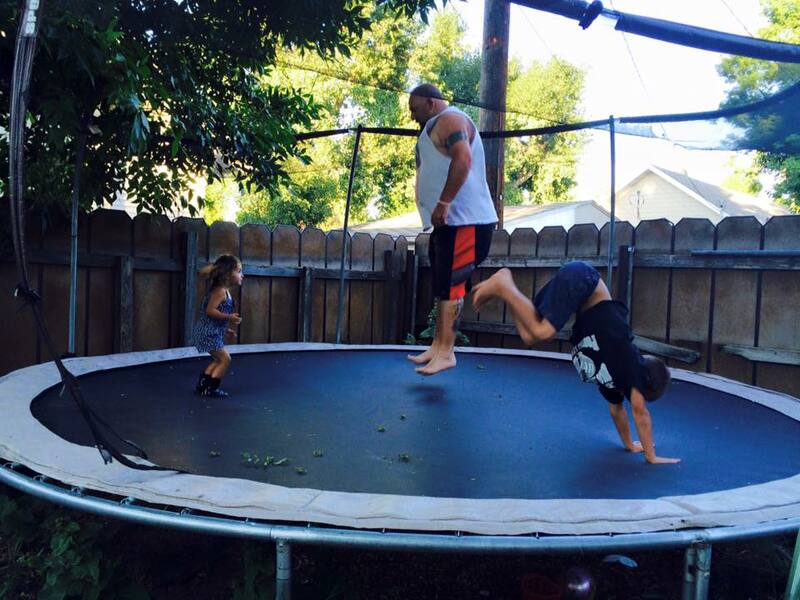 Pictures on the trampoline are totally another thing, however. Those are fun activities, rather than misbehaving. For that reason, there are often pictures on a trampoline. 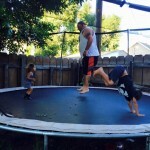 And don’t get the idea that kids are the only ones jumping on the trampoline or the bed for that matter, because they aren’t. Even parents and other adults have been guilty of it. My own mother did it once to make a point, but it backfired a bit, when the bed broke. When the bed was broken, she said…in stunned disbelief, “Well, now it’s broken! !” The grandchildren that she had been chewing out, somehow didn’t see the situation as believable, but rather hilarious…not that they necessarily laughed at the time. Nevertheless, it was very funny. Grandma jumping on and breaking the bed. Now that’s simply priceless! !